What is the Employee Experience of not being Entirely Incorrect? You are here: Home / Customer Experience, Success, Loyalty, Retention / What is the Employee Experience of not being Entirely Incorrect? What happens to employee experience when they are not entirely incorrect? When employees propose solutions, modifications to processes or requests for increased budgets? 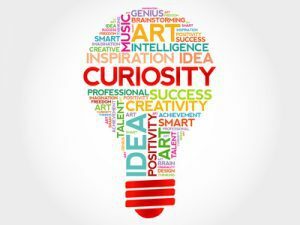 Is there stakeholder pushback or are employees encouraged to be more curious and inquisitive? Are employees mentored to become more anticipatory about proposing solutions more aligned with stakeholder needs? Or, are employees chastised for being not entirely correct, which makes them defensive and reluctant to propose further solutions? The employee experience of pushback on, or resistance to, ideas is an opportunity to communicate and collaborate. While solutions may not be entirely correct – or entirely incorrect – is the focus only on the part of the solution which is not entirely correct? Due to an employee’s incomplete knowledge of the factors influencing the decisions to be made? Does your organizational culture make it OK to “not know” and ask questions, along the way? Organizational cultures which focus on clarifying stakeholder context create more confident employees who ask better questions when serving customers. How does an employee experience the outcomes of proposing solutions to stakeholders who rely on entirely correct answers? Technical and engineering stakeholders validate proposed solutions to ensure that outcomes are failure-proofed and optimized. The stakes for solutions not being entirely incorrect, yet not being entirely correct either, are profound. A satellite’s missed orbital trajectory. Or, manufactured parts which do not align correctly during assembly. Or, technical incompatibilities in software interfaces. While some ideas appear to be perfect solutions for business stakeholders, are employees encouraged to walk around to the other side of the table? Will their proposed ideas have a bit too much wiggle room for technical stakeholders? Will the employee understand the reason for technical stakeholder pushback? Gaining clarity of stakeholder context works wonders for creating situational awareness of whether a proposed solution will be perfect, or not entirely correct. Otherwise, employees have less than stellar experiences during meetings, when they find themselves in the cross-hairs of skeptical, technical internal stakeholders. The aggregated employee experiences driving internal and external stakeholder success and customer retention require executing a consistent communication strategy. Focus on gaining clarity of context for all stakeholders sitting around the table. Demystify existing barriers to collaboration across the organization’s business-operations communication abyss. Then, take these next steps towards improving employee experience and retaining not only customers, but employees. Babette Ten Haken is a customer retention specialist. Her One Millimeter Mindset™ speaking programs and workshops improve communication in organizations with disparate or siloed groups, especially in industries with technically-focused stakeholders. Her playbook of communication hacks, Do YOU Mean Business? is available on Amazon.com. Babette’s speaker profile is on the espeakers platform.